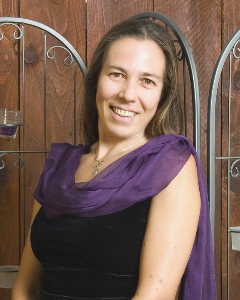 I am thrilled to recommend Isabelle Choiniere-Correa, who completely changed my life. I was looking for guidance with career direction and made an appointment with her, and that was absolutely the best thing I could have done for myself. Isabelle specializes in career/life path guidance. She loves being able to help people make big life changes. She's extremely knowledgeable about the tarot and very eloquent. Also, she's wonderfully enthusiastic--she was so excited about what she saw as my new life path, I got excited too! That great feeling of a new start and of seeing things clearly lasted for weeks to come, giving me the energy I needed to start making some big changes toward a life that makes a lot more sense than the one I've been living. Give yourself the same opportunity--give Isabelle a call. I have utilize Isabelle's services at various times when I was making a critical decision or major shift over the last three years. I am very impressed with her presence, clarity and integrity. She is a very gifted consultant with a wonderful ability to deeply see and gently communicate fresh perspectives; from questions about my health to my business relationships to adjustments in my career path, Isabelle has been instrumental in helping me stay on track or to radically change my direction. In each instance her insights have been truly invaluable to me. Anyone who desires to save themselves much wandering in the wilderness of uncertainty will benefit themselves greatly with her services. “I am so thrilled that you visited with my dear friend the other day. She felt most empowered by your insight and wisdom and I feel strongly that it helped her to take the next step in what has seemed to myself and probably others a rather slow process. I have been implementing many of the things that we talked about and feel quite empowered myself. “Recently, I sought help from Isabelle regarding the direction of my career. I was experiencing conflict and distress over what aspects of my business to concentrate on; wasting time and energy through lack of focus. Isabelle helped me to clarify what I really wanted. She was able to look at my greatest strengths and suggest how to use the current of this particular time in my life to move towards my goals. Isabelle was able to guide me out of my confusion and back to my own center. “Coming from an engineering background, as well as an Episcopalian Christian culture, I've always been instinctively wary of Tarot cards and palm readers. However, the practical sense offered by Isabelle Choiniere and her honest open advice, has made me realize that Intuitive Coaching provides me with a viable alternative perspective to the direction of my energies. In a supportive and conversational manner Isabelle leads you through the possibilities that are presented by the Tarot cards. She draws you into an understanding that it is your intentions projecting from your intuition that is dominating your outward actions. Isabelle Choiniere-Correa. All rights reserved.